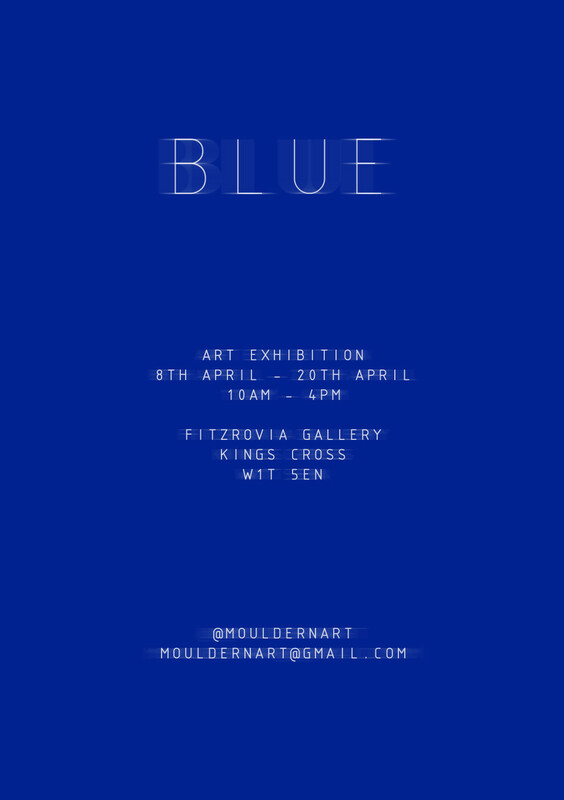 Blue is the second exhibition by Mouldern Art, with 20 artists responding to the title. The exhibition features a collection of artworks by friends and family of the Moulds. Definitions of blue as a colour can commonly be associated with harmony, faithfulness, confidence, distance, infinity, the imagination, cold, and sometimes with sadness. Human eyes perceive blue when observing light with a wavelength of roughly 450–495 nanometres. It is one of the primary colours and has been used throughout art history, with studies stating that blue is the favourite colour of over half the population. The word conjures up universal themes with vast connotations for the viewer. The Mould family have always been surrounded by and created art. The family is exploring different professions in architecture, galleries, museums, art studios and graphic design. 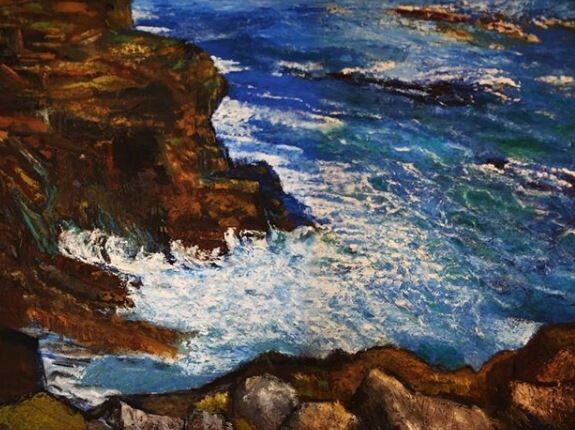 Hanging on the wall at home and placed on shelves, a multitude of sculpture, landscape painting, abstract art on found wood, watercolour, oils, pastels, acrylics, scripts and conversations were all a constant underpinning of the mould family’s artistic heritage through the generations. Through working in different jobs and having similiar interests, Mouldernart consists of like-minded, talented, artistic people. It is an honour to bring them all together and put on a show for ourselves, for them and hopefully for you. Emily Mould, Stephen Mould, Jenny Mould, Oli Mould, Sidney Mould, Elaine Mould, Rita Mould, Jess Wynne, Leticia Navascués, Will Brown, Tom Ward, Niamh Wilson, Penny Driscoll, Eluned Wynne, George Durham Brian Hope, Bernie Tynan, Lily Grant, Huw Radley Banks, David Aiu Servan-Schreiber.